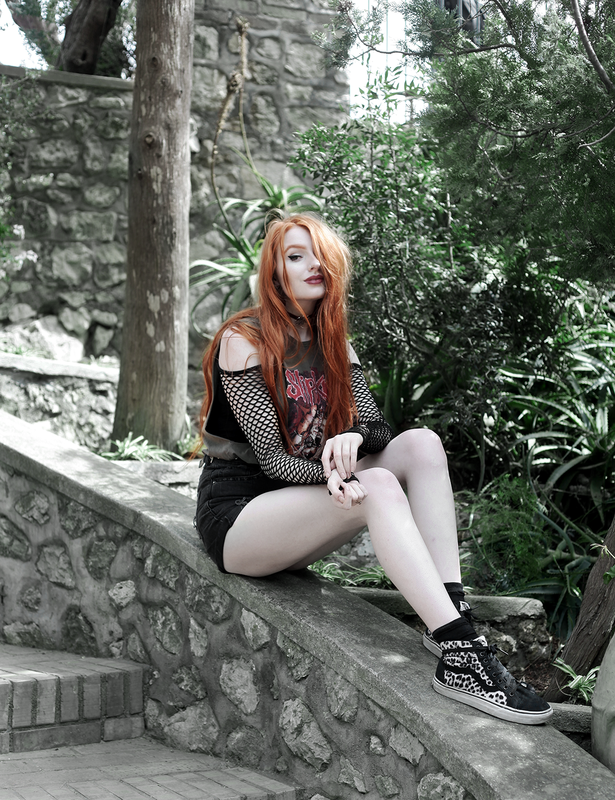 Band Tee & Fishnet Sleeves. Hey guys! Just a quick post today as I’m writing this at 1.45AM, and I’m off to Paris for work first thing! I’m not taking my laptop, so if I don’t write this now, it may not get done for a bit. ? I’ve scheduled this to post at 10AM, so I hope that works ? 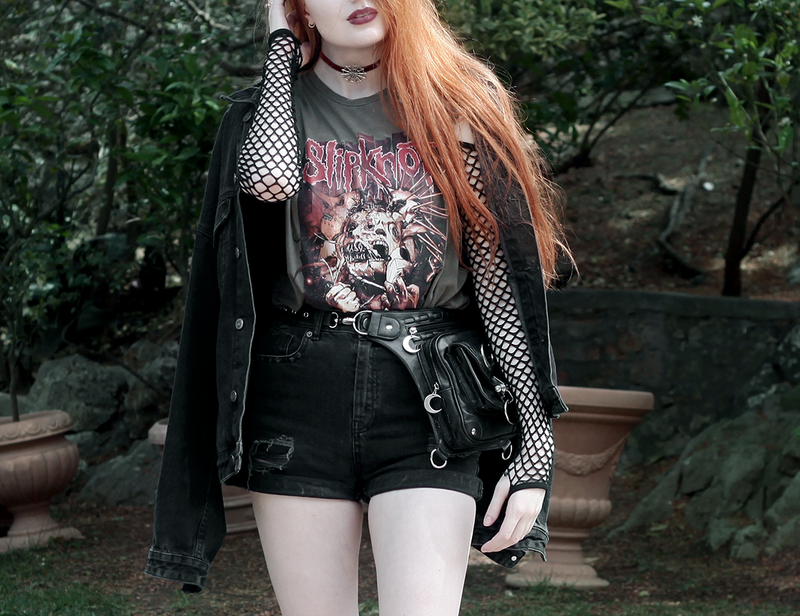 On the day we shot these pictures we did a lot of walking, so I finished the outfit with a belt bag and my trusty Vans! I’m sure I’ve wittered on about them before, but they feel like pillows on my feet – perfect for a day a of exploring. I feel like they also help mix up my staple outfit, as usually my Docs are glued to me! The belt bag (or bum bag, to call it what it is) was also super-handy as I could keep my necessities close to me, and be free of my giant backpack, which can be a bit of a drag on long walks ? Next Post In Anticipation of Autumn. You look totally perfect! Love this outfit! What sun block do you use? Noone works for me, every year I’m tanned :< Aww, it's so hard to be pale, when love sun soooo much! I can’t believe you made a bum bag look grungy and stylish! Great look! Love this outfit. The fishnet top looks so cool under the band tee.